Access control systems offer a secure and flexible way of determining who can access your property, where and when. Access control is essentially the key to custom-making the access to your building as per your own specification. Whether you are looking to secure the front door of your office building or need to restrict movement in secure areas, Aegis Integrated Security can supply and install a system custom built keeping your specific needs in mind. Whichever system you choose, our experienced engineers can offer full installation, as well as maintenance packages designed to suit you. We can also upgrade and maintain your existing systems wherein integrating new access control technology is not required. Access control, as it applies to physical security, refers to a system that is used to permit access to authorized people and deny unauthorized entry. Typically it is used by employers to secure their buildings where employees use a key card or key fob to gain entry. The hardware described above (contact, strike, reader, REX) is installed at the door and wired into a controller. 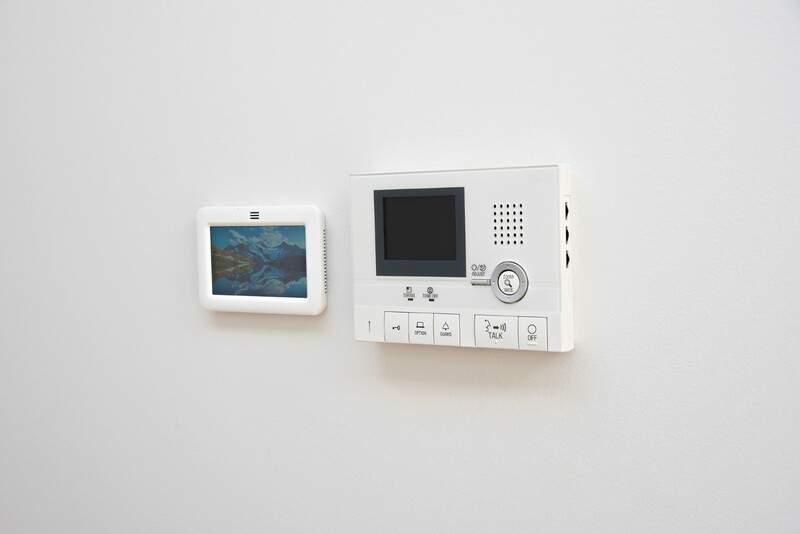 The controller checks permissions or schedules and manages the door hardware. The administrator of the system has an user interface to configure system settings, schedules, authorised people, and view information about current and historical system state. What happens if a card is lost or stolen? If a card or fob is lost, stolen or broken, the system administrator can disable the card through the management software. The card cannot be used in the system (unless reactivated) and any further attempted use can be alerted to the administrator.